There are certain letters that you will find very hard to get a regional dishes. Q being one of those. So I had decided in the beginning that I would not break my head on what regional dish I might want under this. And moreover the theme restriction, I had option of making this either under baked or international theme. Then because of a last minute shuffle again, I had to do a post under Street food. I was so happy when I read that Quesadilla is a famous street food in places like New York. I settled for Quesadilla when I was checking out the Mexican theme I did last month. Infact couple of other letters were also suitable but I didn’t want to stick to just one cuisine. So I went ahead with making those for previous edition. Quesadilla as such is a very forgiving dish. 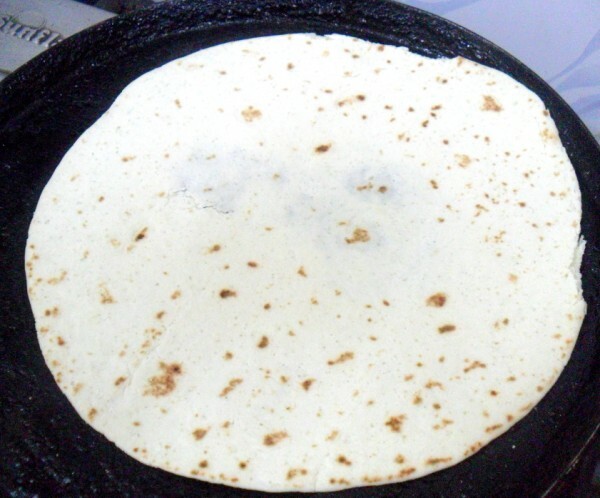 You can simply use your rotis as well to make a quesadilla. I finally understood that the concept was taken and used and yes in the end when the kids love it, why even question the thought right. That’s exactly what happened in my case. I had got a store bought tortilla pack that had six pieces in it. I wanted to make sure that all my Mexican dishes were met with that. Only to realize that Konda actually loves Mexican dishes. When I told her that I was about to make quesadilla, she was thrilled. remember she loved the tacos. So just like that I came to know that she read and knew how a quesadilla has to be prepared from her online games. It was a Sunday and I had made non veg for them and this was supposed to be my lunch. She refused the chicken, instead opted for this and would have completed everything, had she not knew that it was my lunch as well. She said she loves me extra for this treat. She was praising so much that I was thinking why I have never thought of making this before. I always knew that she loves anything with cheese, so it was no wonder, still I was amazed how much she loved her meal. Even now, she remembers and keeps asking when I am going to make it for her again. I must either get that store bought or make the tortillas myself. 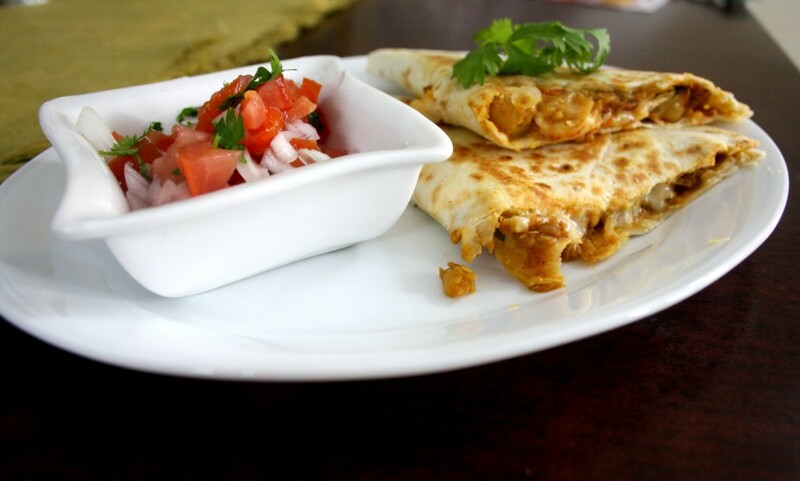 So for Q, I have Quesadilla with curried chickpeas for you! Soak and pressure cook the chickpea till soft. Heat a non stick pan with oil, saute the onions, then add ginger garlic paste. Then add the tomatoes, spice powders and cook till done. Then add the boiled chickpea and mash gently so that it becomes soft. cook till the filling becomes almost dry. Heat a pan and warm the tortillas on both sides. When you have excess channa masala that you make for pooris, that can easily be used up in this way. It actually tastes so great. The stuffing can be anything from lentil to vegetable, your kids will love it. I know there will be many quesdillas today, love the stuffing you went for, such a droolworthy ,nutritious quesdillas,just inviting. Quessadillas are a fav in our house too, though I never buy the tortillas..prefer to make them at home, else they turn out pretty expensive. 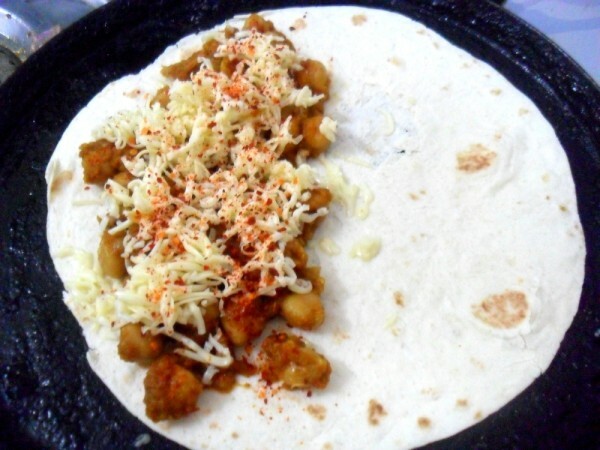 love the fusion with chana..cheese..i would put in some olives and jalapenos too..would make it even more authentic!! love the chickpea curry!!! and the qusedillas have come out perfectly!! 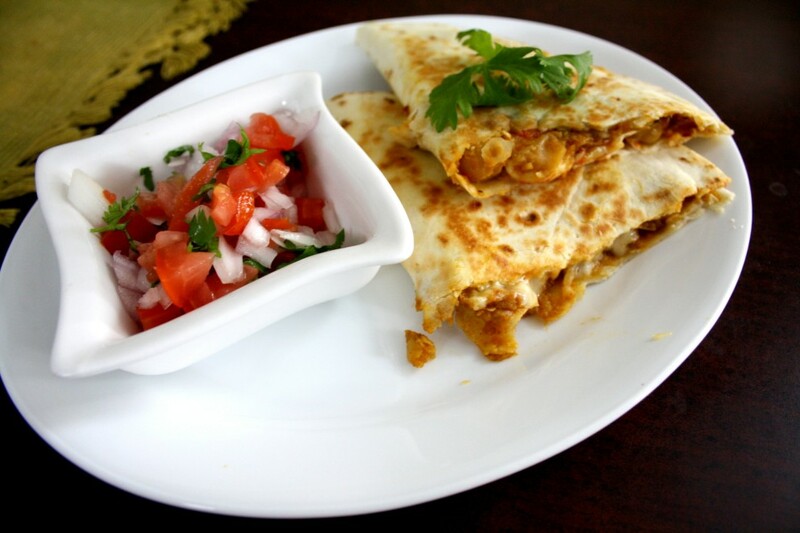 Quesadilla with curried chickpeas and cheese ..wow! It looks so delicious . Nice fusion of Indian and Mexican flavors. 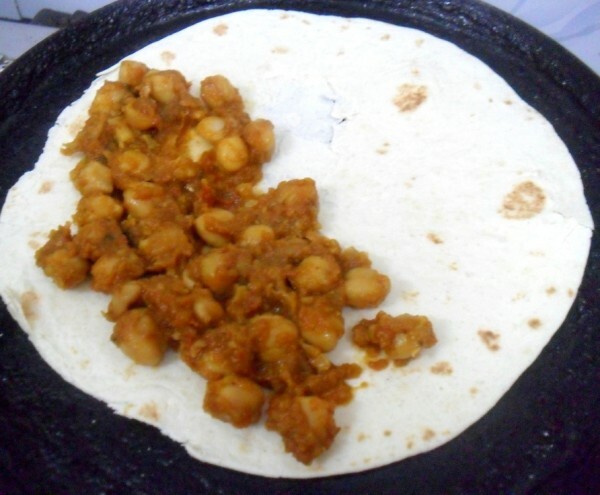 I love the texture it looks nice.Very inviting and I like the chickpea as filling must be so yum. Lovely idea using masala chickpeas. This was on my first list too! And the chickpeas in this dish such such a delicious idea. No wonder the lil one loved it! 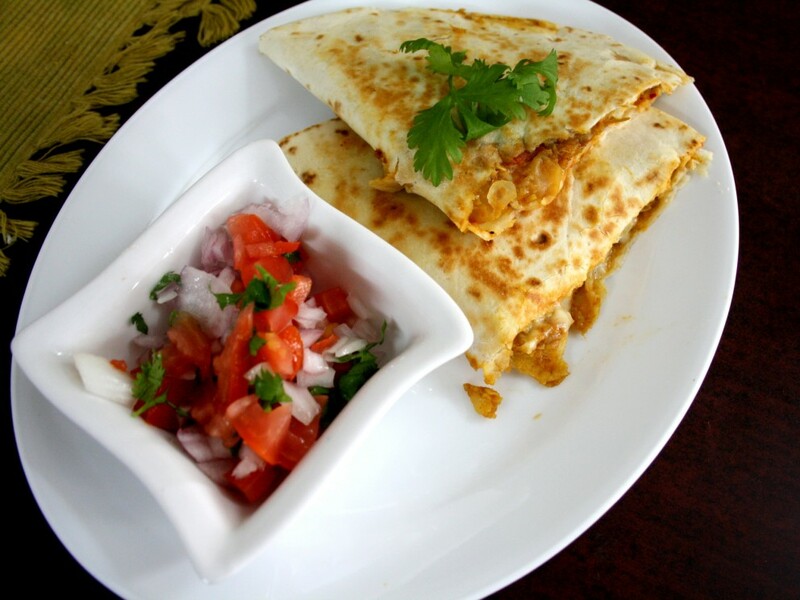 Quesadilla is my daughter's favourite and this fusion recipe is definitely a keeper! !